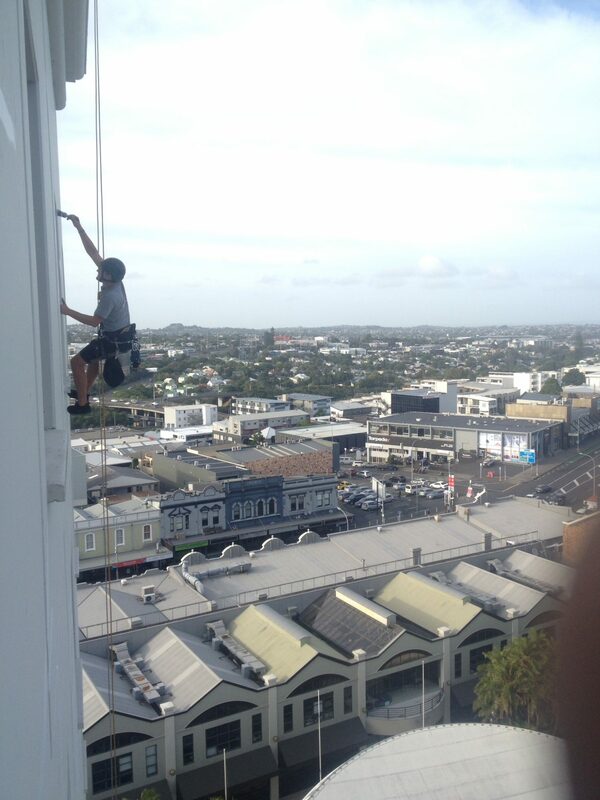 Off The Ledge Ltd has developed a very skilled high rise painting service over recent years. 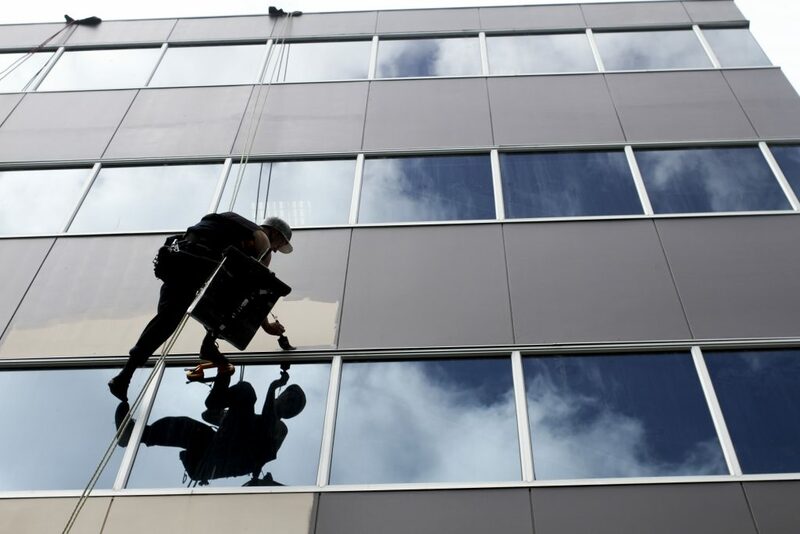 We have developed abseil technique to allow us to offer our customers the advantage of not requiring scaffolding, hire equipment or staging to access their building exteriors. This is always a cost effective alternative to traditional access systems. 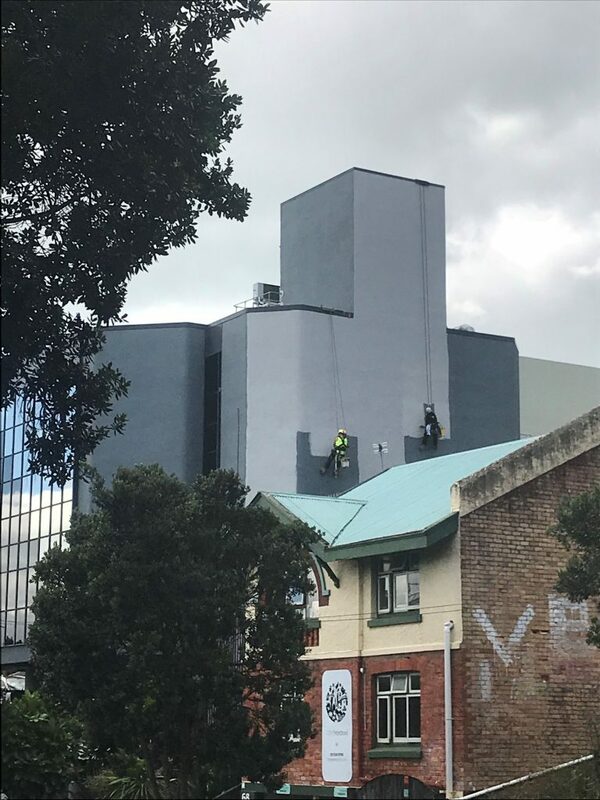 Off the Ledge can often finish painting whole sections of a building in the time it would take to set up and then remove the scaffolding!. 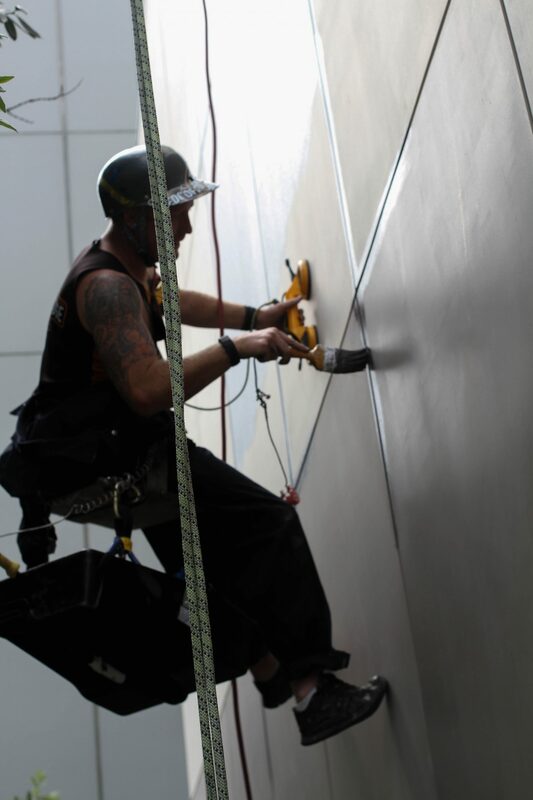 Within our large team, we have a select group of individuals who are trained specifically in remedial and painting services. We have many great reviews available upon request testifying to the effectiveness of this crew. 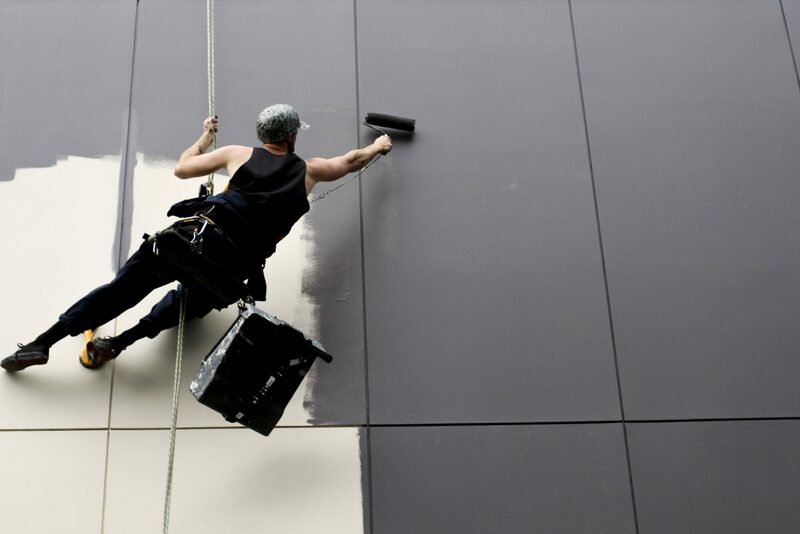 We are well able to complete any cladding or exterior surface repairs prior to painting commencing. This is often of advantage to our customers so they can deal with one company for many and varied maintenance and repair services. We prepare a detailed job sheet prior to works commencing outlining exact work procedure and scope of works. Workplace hazards are detailed and special provision is made to avoid any damage to third person property, or adjoining neighboring sites. We monitor all our work daily, and prepare weekly reports for our customers, outlining progress and anticipated completion dates for each particular area of the building. We especially undertake measures to prevent accidental spillage and will always have a thorough inspection of glass and grounds before declaring a job finished, to ensure that paint has only been applied where required! We have developed great working relationships with our paint manufacturing companies. We often work together with them in discussing the intricacies of each particular building and then work in strict compliance to the recommended painting specifications that they supply. We can often run a larger team on bigger projects allowing us to radically minimise the amount of time spent on site. We have found that our customers have really appreciated this, and the freedom it brings by having a job run quickly and efficiently.